Members! Did you know you can join a site visit? We are excited to announce our second round of site visits for 2013 from the Economic Justice, Environmental Justice, Criminal Justice and LGBTQ Giving Projects. Site visits will start next week and will run until the end of July. 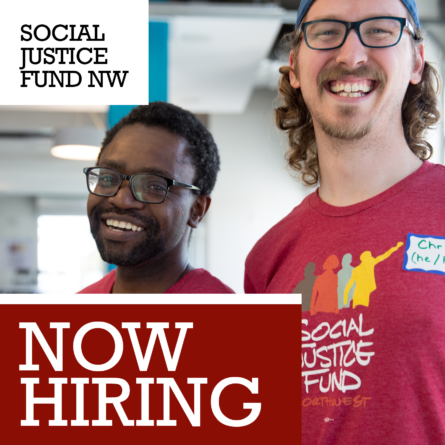 As a member of Social Justice Fund NW, not only are you absolutely welcome to join us on site visits, but we strongly encourage you to take advantage of this opportunity–especially if you've never done it before. Site visits are a great way to meet amazing people and learn more about the incredible work that's taking place in our community. And remember, you don't have to be in a Giving Project to join a site visit, all Social Justice Fund NW members are welcome! 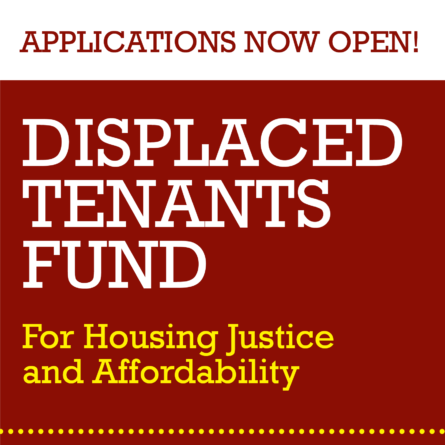 If you're interested email Sunny at sunny@socialjusticefund.org for a schedule of upcoming site visits. Causa, Salem OR – Causa’s mission is to foster a society that recognizes the contributions of immigrants and upholds the values of democracy, equality, and respect. 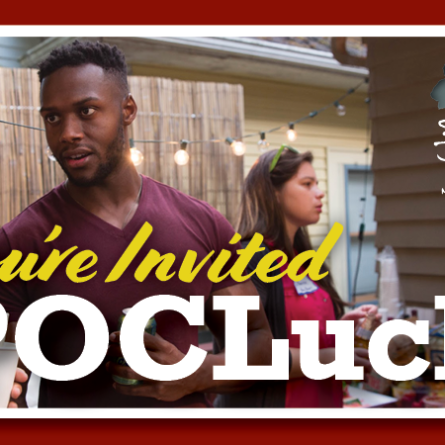 PFLAG Portland Black Chapter, Portland OR – PFLAG Portland Black Chapter (PBC) promotes the health and well-being of specifically Black gay, lesbian, bisexual, transgender, and queer (LGBTQ) persons, their families and friends through support, education, organizing and advocacy. Center for Intercultural Organizing, Portland OR – The Center for Intercultural Organizing is a membership organization that leads grassroots efforts to protect and expand immigrant and refugee rights through education, civic engagement and policy advocacy, community organizing and mobilization, and intergenerational leadership development. API Chaya, Seattle WA – The Queer Network Program at API Chaya works to engage the API LGBTIQ community to address and prevent intimate partner violence. In order to do this, we work to build skills among allies and community members, raise the visibility of our community and concerns, and supporting survivors of violence. Entre Hermanos, Seattle WA – To promote the health and well being of the Latino Gay, Lesbian, Bisexual, Transgender, and questioning community. Idaho Safe Schools Coalition, Boise ID – To help Idaho schools become safe places where every family can belong, where every educator can teach, and where every child can learn, regardless of sexual orientation or gender identity. SAFE, Seattle WA – Standing Against Foreclosure & Eviction (SAFE) is a grassroots organization based out of Seattle dedicated to building a mass movement to stop bank evictions, achieve principal reduction, and put people before profit. DisAbility Rights Idaho, Boise ID – DisAbility Rights Idaho is a statewide non-profit agency providing advocacy and legal services for people with disabilities in Idaho. Equality State Policy Center, Casper WY – The Equality State Policy Center, a broad-based coalition of Wyoming interests, works through research, public education and advocacy to hold Wyoming state and local governments accountable to the people they represent, and to encourage and assist state residents to participate effectively in public policy decision-making. Got Green, Seattle WA – Got Green is a grassroots group in the Seattle area led by young adults and people of color that promotes the movement for an equitable, green economy as the best way to fight poverty and global warming at the same time. Idaho Community Action Network, Boise ID – The fundamental mission of ICAN is to provide a voice for Idahoans committed to progressive social change and to develop the power necessary to create those changes. PCUN, Woodburn OR – Pineros y Campesinos Unidos del Noroeste (PCUN) has a fundamental goal to empower farmworkers to understand and take action against systematic exploitation and all of its effects. Mujeres Luchadores Progresistas, Woodburn OR – We are a group of farmworker women who create economic development and promote leadership among women in our community. Red Lodge Transition Services, Portland OR – The Red Lodge Transition Services works to prevent incarceration and reduce recidivism primarily among Native American women and men. Right2Dream, Portland OR – Right 2 Dream Too (R2DToo) exists to awaken social and political groups to the importance of safe and undisturbed sleep. Our purpose is to create a place where unhoused people can rest or sleep without being rousted by police or private security and without being under the constant threat of violence. We hope to create a cost-effective, self-sustaining model that can be replicated elsewhere. Rural Organizing Project (ROP), Scappoose OR – ROP works to strengthen the skills, resources and vision of primary leadership in local, autonomous human dignity groups — including queer-identified groups, PFLAG chapters, and GSA's — across Oregon with the goal of keeping such groups a vibrant source for a just democracy. Statewide Poverty Action Network, Seattle WA – Poverty Action builds grassroots power to end causes of poverty and create opportunities for everyone to prosper. The TREE-Institute, Gresham OR – The TREE Institute, which stands for Theater for Transformation & Radical Education for Evolution, is made up of grassroots collectives who share knowledge, resources, and power. We are immigrants and/or refugees, rural and urban, women, youth, men, artists, and educators. Voz Workers' Rights Education Project, Portland OR – Voz Workers Rights Education Project is a worker-led organization that empowers immigrants and day laborers to gain control over their working conditions through leadership development, education and community organizing. Native Youth Leadership Alliance, Priest Rapids WA – NYLA is an intergenerational collective of Tribal College students and their allies that spark positive change in Native American communities. NYLA connects education to action by providing culturally relevant leadership support, networking opportunities, and learning experiences that help participants achieve community-building goals. Johnny organizes with his tribe in Central Washington around cultural reclamation through traditional foods. OPAL Environmental Justice, Portland OR – OPAL works to educate, engage and empower working-class communities and people of color to improve quality of life through environmental and social justice organizing. Bus Riders United is a grassroots program led by transit-dependent people working to win fair, friendly, frequent, fully-funded, and affordable public transportation in the Metro Portland area. Beyond Toxics, Eugene OR – Beyond Toxics works to guarantee environmental protections and health for all communities and residents. We expose root causes of toxic pollution and help communities find effective, lasting solutions. team of local youth the skills to act on issues and engage their peers and adults in solutions that they believe will have positive impact. Powder River Basin Resource Council, Sheridan WY – Powder River Basin Resource Council is committed to empowerment of people through community organizing. More than ever, it is crucial that Wyoming's voice for responsible development, Powder River Basin Resource Council, be a part of the debate that will determine Wyoming's future. Puget Sound Sage, Seattle WA – Puget Sound Sage brings together labor, faith and community to build an economy based on shared prosperity. We ensure all families benefit from economic growth, all workers are free from discrimination in the workplace and all development meets the needs of our communities. Verde, Portland OR – Verde serves communities by building environmental wealth through Social Enterprise, Outreach and Advocacy. Black Prisoners' Caucus, Monroe WA – Black Prisoners' Caucus is dedicated to provide a medium for African American prisoners to work collectively to improve ourselves, our family relationships, our facility, and the communities that we are absent from. Community to Community Development, Bellingham WA – Community to Community Development is a place based, women-led grassroots organization working for a just society and healthy communities. Win/Win Network/Greater Spokane Progress, Spokane WA – The aim of Win/Win Network is to increase participation and affect the political landscape by focusing on building long-term power toward positive social change for all our communities in Washington State, and to lead our region and the country in incubating innovative tactics, strategies and policies that will allow us to create a more just society. The Organization for Prostitution Survivors (OPS), Seattle, WA – OPS accompanies survivors of prostitution in creating and sustaining efforts to heal from and end this practice of gender-based violence. Seattle Young People's Project, Seattle WA – Seattle Young People’s Project is a youth-led, adult supported social justice organization that empowers youth (ages 13-18) to express themselves, gain an anti-oppression analysis, learn grassroots community organizing skills, and take action for positive community change. American Friends Service Committee (AFSC), Seattle WA – AFSC is seeking funding to support its Youth Undoing Institutional Racism – EPIC (End the Prison Industrial Complex) Campaign. The EPIC Campaign is a youth planned and lead Initative to directly confront issues of racism in the King county juvenile justice system, then propose and advocate for holistic alternatives. Incarcerated Mothers Advocacy Project, Seattle WA – The Incarcerated Mothers Advocacy Project (IMAP) is a coalition of law students, lawyers, social service providers, activists and formerly incarcerated women and seek to change the rights afforded incarcerated and formerly incarcerated women in the State of Washington. Partnership for Safety and Justice, Portland OR – Partnership for Safety and Justice works with people convicted of crime, survivors of crime, and the families of both to advocate for policies that make Oregon’s approach to public safety more effective and more just. MIJA Montana Immigrant Justice Alliance (Helena, MT) – MIJA is a statewide non-profit organization working for immigrants rights. Montana has a rich history of immigration, but in recent years the contributions that immigrants have made to our State have sometimes been overshadowed by negative stereotypes and false myths. MIJA works to educate the public about our migrant communities, and provide services to empower these communities. Indian Peoples Action, Butte MT – Indian People's Action (IPA) mission is to work in Montana urban areas, border towns of serveral Indian reservations to organize for social, economic and racial justice. IPA is deliberate through its training and listening sessions to cross the boundaries of race and class among those participating.